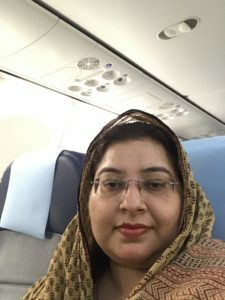 Dr. Kishwar Zafir is an Assistant Professor in the Department of English at Aligarh Muslim University. She teaches English Literature and English Language Teaching (ELT) at the post graduate and graduate levels. Her areas of specialisation are Post colonial Literature, Ecocriticism, Translation Studies and Sociolinguistics. She also has interest in Muslim women’s writings as well as Creative Writing. She is a lifetime member of FSLE-India, an International Socio-Ecoliterary Organization working in the field of Ecocriticism. She is also one of the Executive Council Members of FSLE-India U. P. West Region.